Nate Diaz is pissed. Just when you thought it was safe to go back in the Stockton waters, a Diaz Brothers is causing the UFC headaches. From the UFC presser today (Aug. 3), Diaz tweeted out his displeasure. Now word is Diaz was upset about the Conor vs. Khabib promo that played at the end of the presser. Did nobody tell Nate that fight was happening in October? Oops. 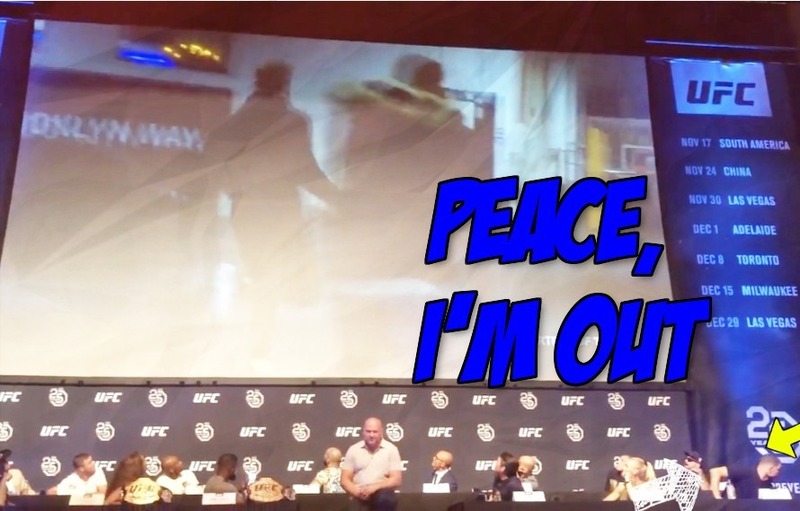 Here’s video of Diaz storming off the stage while Dana White, every other fighter and all the fans are glued to the video screen during the first promo for UFC 229. Diaz gonna Diaz.